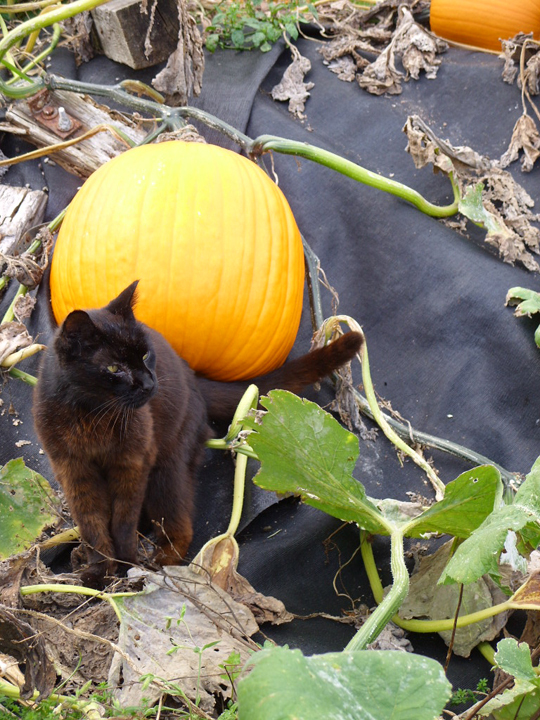 Traveling cat spotted at a pumpkin patch in Shelburne, USA. What a great photo for the fall season! So a witches cat. Have a marvellous Monday. Dit is een leuke photo! Visiting from Sunday Social Blog Hop! Keeping in with the season! This black kitty seems to have some touches of brown/orange on his front legs! Is that kitty looking for the Great Pumpkin?